Poaching, human-elephant conflict and illegal cattle grazing also pose significant threats to the animals and the park. 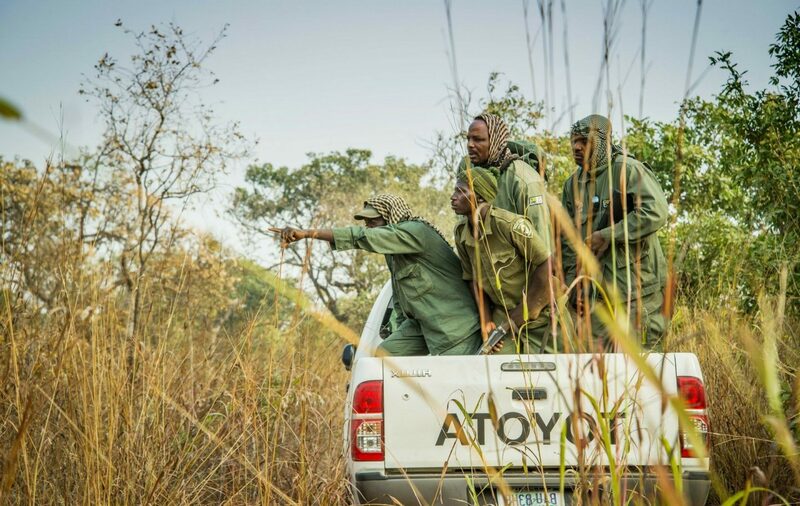 The Wildlife Conservation Society (WCS) has been co-managing Yankari, with the Bauchi State Government since 2009, by supporting park staff and local communities. State government resources are very limited and the patrol force of 80 rangers is poorly paid, equipped and trained. WCS supports them with camping allowances, arrest bonuses, field rations, field kit and training. These supplements can greatly increase the rangers’ commitment and effectiveness. Meanwhile an Elephant Guardian programme recruits local people to work within communities promoting safe and effective techniques to deter elephants. This prevents the loss of income and subsistence crops, which in turn reduces hostility towards the animals. These activities have increased local support for the park and significantly lowered the level of poaching and illegal incursions. Tusk has funded essential equipment for the 12 Elephant Guardians to conduct their work in combatting human-elephant conflict around the park. With one of the largest elephant populations in West Africa, the protection of the Yankari game reserve is a conservation priority. Facing many challenges, this project needs ongoing support to keep these animals and their habitat safe. In 2017 Nachamada Geoffrey was a Finalist of the Tusk Award for Conservation in Africa.